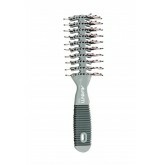 Avanti 1020 Large Skeleton Brush - Double-dipped ball-tipped bristles are gentle on the scalp and hair. 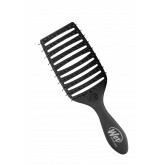 The lightweight design has a slip-free rubber handle that provides comfort and stability. 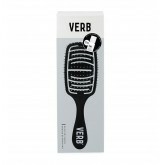 Verb® Blow Dry Brush uses an open vent to detangle and smooth hair while speeding up drying time. 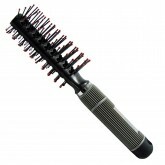 Cuts down blow-dry time for those thick hair girls and hey, doubles as a great head massager. Thank us later. Includes bonus Ghost Oil 0.6oz. 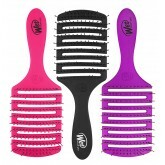 Works on wet or dry hair of all types. Heat resistant to 450 degrees. Choice of Ruby, Amethyst or Pearl. 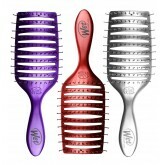 If you have a color preference, please make a note at checkout otherwise, brush color will be chosen at random. Resists heat up to 450°. The open vented design channels more hot air to the hair, speeding dry time by to 30% with a contoured shape hugging the scalp.